My eleventh ground of 2017 was on Saturday 15th April at Central Avenue in Billingham, County Durham. The match was Billingham Synthonia vs. Willington in Northern League Division Two. Central Avenue Stadium is part of the Synthonia sports grounds located opposite the former site of the ICI chemical plant. The northern end of the ground is bordered by a rail line with local rivals Billingham Town the other side of the line. The town's railway station is half a mile north towards the centre of the town. 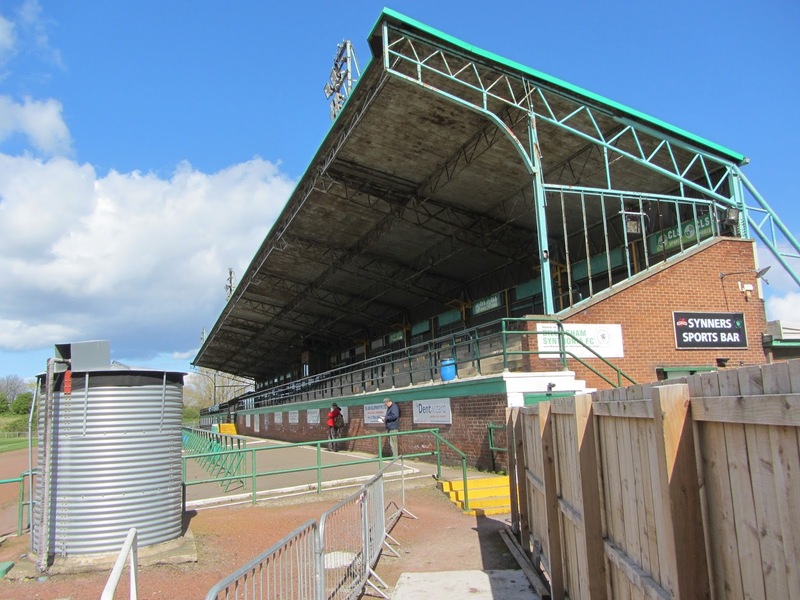 The venue was home to Billingham Synthonia from 1958 until April 2017 with this being their final game at the ground. The ground's focal point was an impressive cantilever stand which ran the entire length of the pitch on the eastern side of the ground. 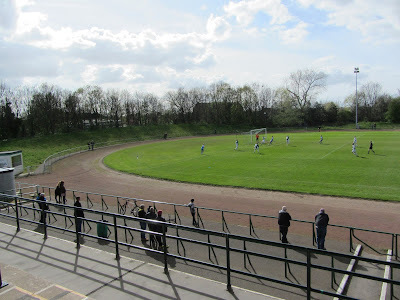 This stand consisted of ten rows of concrete with the southern and northern thirds given over to standing and the middle third to seating. This middle third had benches attached to the concrete floor and included a media box at the back of the stand. In front of the stand was a flat concrete standing area with two rows of barriers - the two dugouts were in front of the furthest forward set of barriers. Within the stand there was a large bar containing a club shop and a separate small lounge room. There was also a tea bar which faced out towards the flat concrete area between the stand and the pitch. 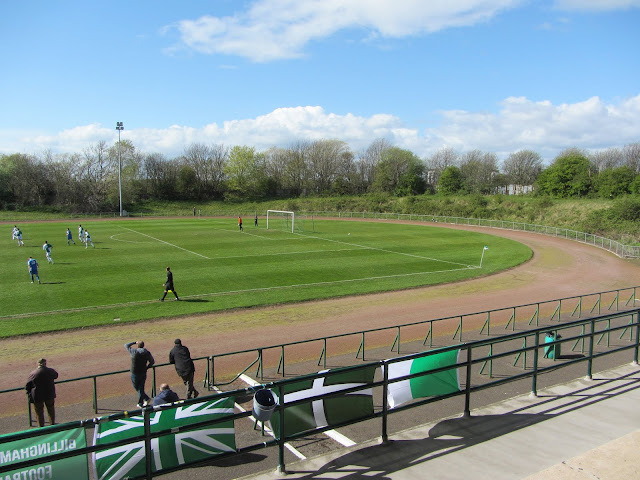 In April 2017 Billingham Synthonia released a statement referring to the maintenance costs of this stand as a key factor behind the decision to leave Central Avenue. The remainder of the ground was uncovered standing. 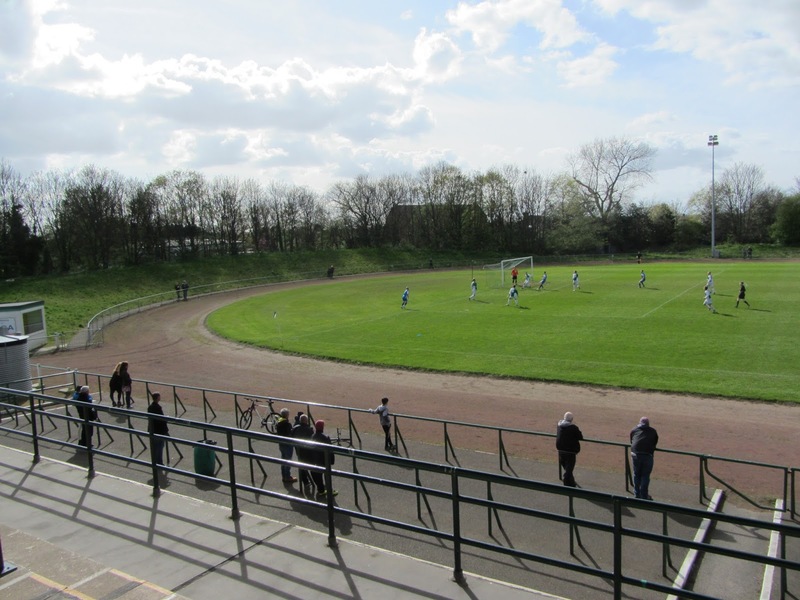 There was a gravel track encircling the pitch meaning the viewing areas were oval shaped. A strip of concrete ran round almost all of the rest of the venue - these were designated spectator areas. The steep grass banks behind both goals had signs discouraging supporters from climbing to get a better view of the action. The opening few minutes was an even affair with Willington going close in the 5th minute when the ball was crossed into the area from the left and Will Preston steered the ball just the wrong side of the post. In the 8th minute it was Billingham's turn to go close after Steven Huggins dispossessed Adam Cromby in midfield and laid off the ball for Chay Liddle who's shot was cleared off the line. The hosts spent more time in the attacking final third but their tame efforts didn't really test the goalie. In the 55th minute Synthonia took the lead - the ball was clipped over to Chay Liddle on the left side of the area and he smashed the ball across the keeper into the bottom corner. There was almost another goal in the 67th minute when Nathan Steel stroked the ball inches wide after a scramble in the area. The key moment came just after this in the 71st minute when Billingham broke down the left, squared the ball for Liddle who saw his shot saved only for Nathan Steel to knock in the rebound. The visitors offered little in the final few minutes so it meant mixed emotions for Billingham who clinched promotion from the league in their final game at their Central Avenue home.